Four years ago, I stumbled across a breathtaking photo depicting a row of glass igloos, golden domes studding a blanket of twilight blue snow speared by snowy fir trees. Outside the frame, I was certain the Northern Lights were swimming across the sky. I had to go there. 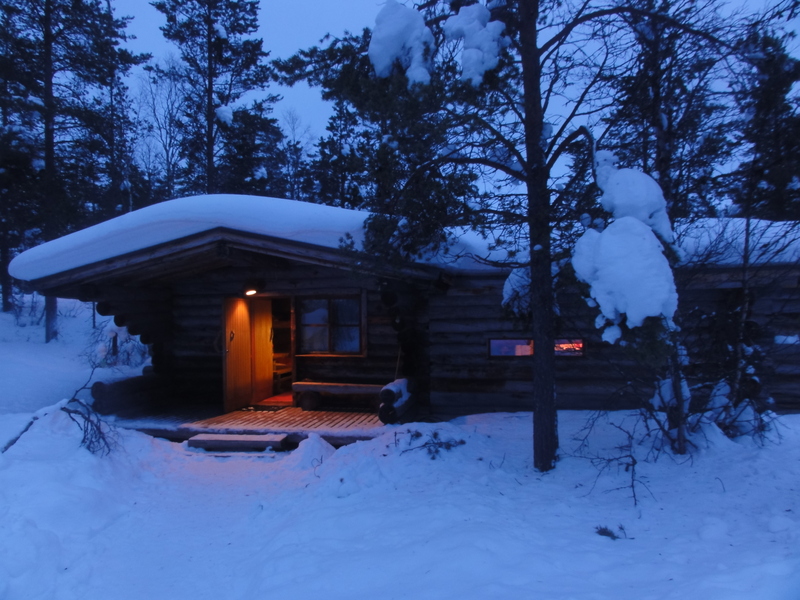 Tucked inside the Arctic Circle in Finnish Lapland, Kakslauttanen Arctic Resort stakes a claim on both the aurora borealis and Santa’s house, although Lonely Planet lists nearby Rovaniemi as the residence of St. Nick. 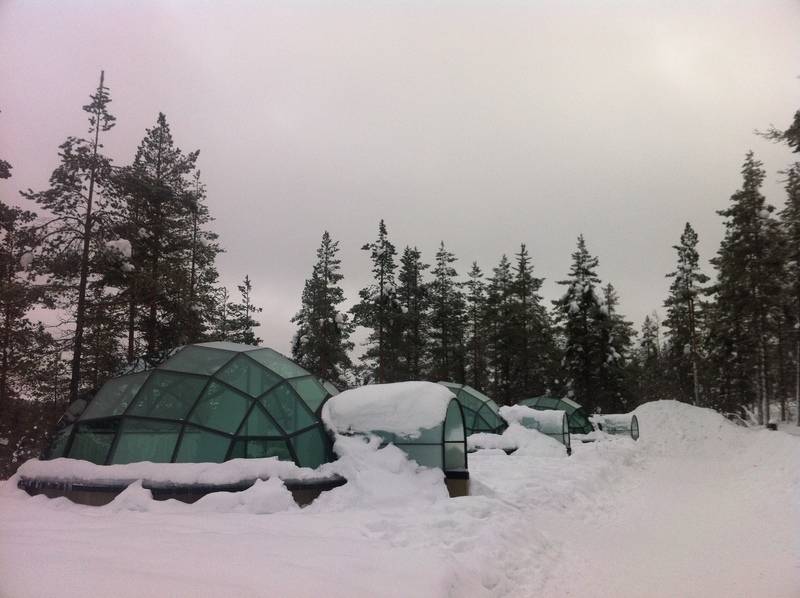 While there are loads of other places in northern Finland that probably offer clear and awesome views of the Northern Lights, Kakslauttanen has a leg up with its glass igloos. 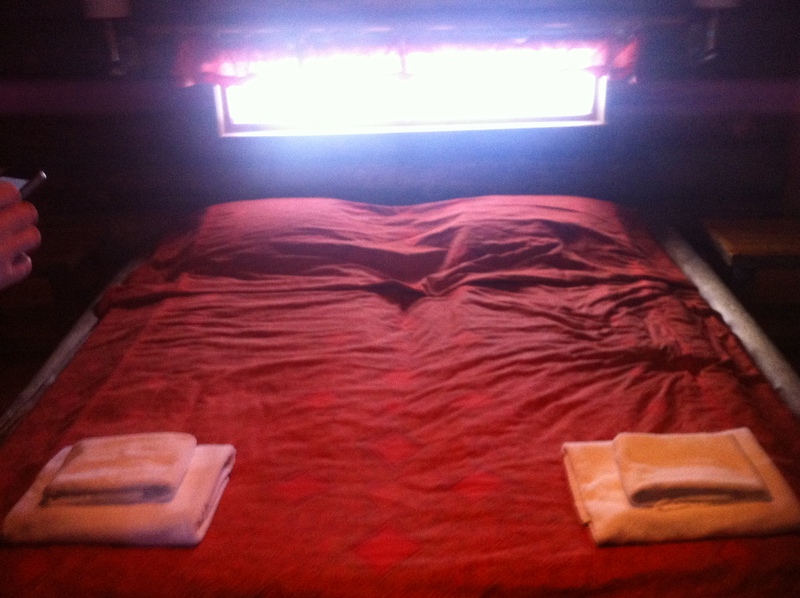 Imagine lying in your bed, all toasty and snug, watching the sky dance overhead. Amazing. It’s worth noting at this point that Finland is pretty proud of its glass igloos, partly because they’re pretty wonderfully unique and partly because Finland feels like it needs to stand out from its bold and powerful neighbors: Sweden to the west, one of the mighty fingers of Scandinavia, of which Finland claims no part; and Russia to the east. If the countries of the world lived on one block, Finland would inhabit the magical log cabin squeezed between two estates ruled by burly and persuasive owners. Understandably, Finland is big on establishing its own identity; it spent much of its life being violated for land and power by these global giants until the collapse of the USSR. Since then, Finland has been on the mend – and it’s been healing with impressive rapidity. Originally spinning its yarns of success around NOKIA, Finland is more renowned these days for its excellent health care, quality of life, and internationally acclaimed school systems. Despite all of this, Finland still seems eager to be recognized. Of course, this doesn’t come cheap. 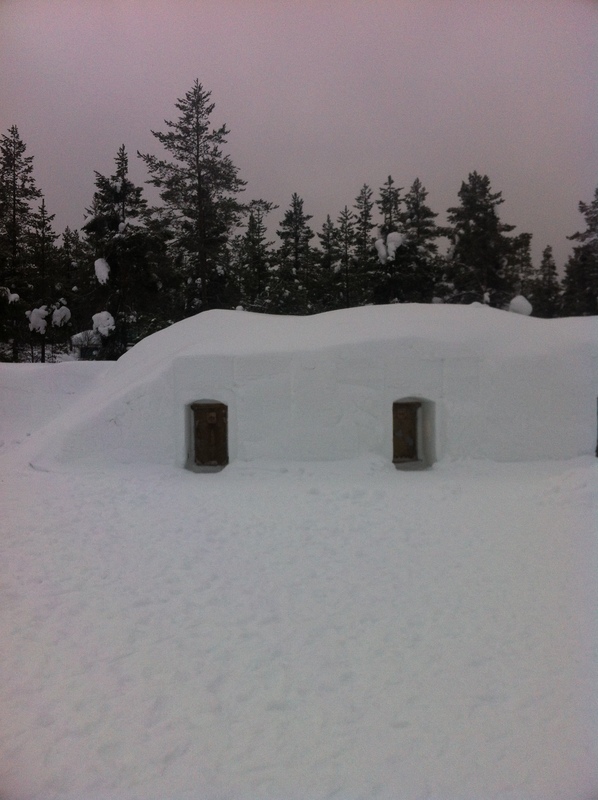 During high season, glass igloos are a whopping 623 euro per night for 2 people – a steep price to pay for cramped quarters, a toilet bowl sans shower, and no guarantee of auroral activity. 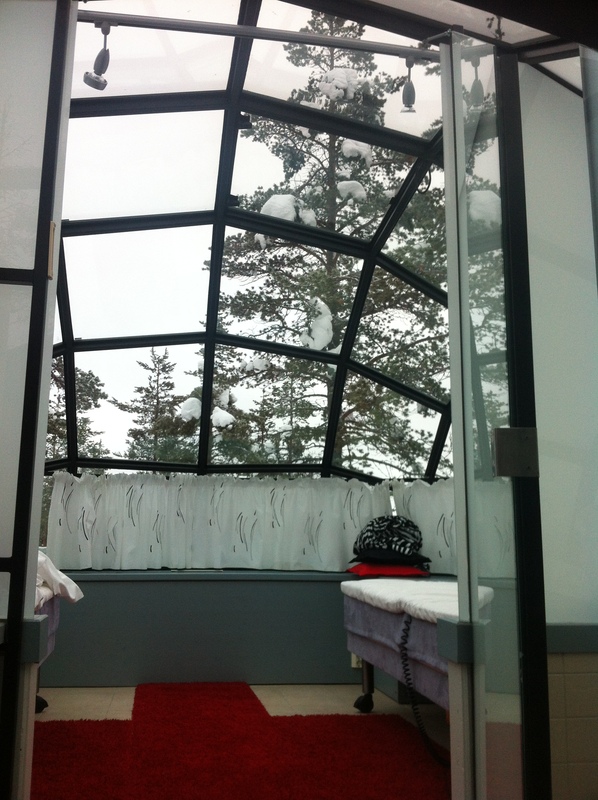 And while the novelty of it is tempting, the annual price hikes are disappointing: in 2015-16, a romantic night in the glass igloo will rise to 682 euro. And if you can’t decide between the two, no worries: starting this November, you can hunker down in a hybrid Kelo-glass abode for 805 euro a night. Commercial hype aside, I loved it. Serene, sylvan, and blissfully remote, it was easily the highlight of our trip, and definitely a sliver of successful personality that Finland can be proud of. 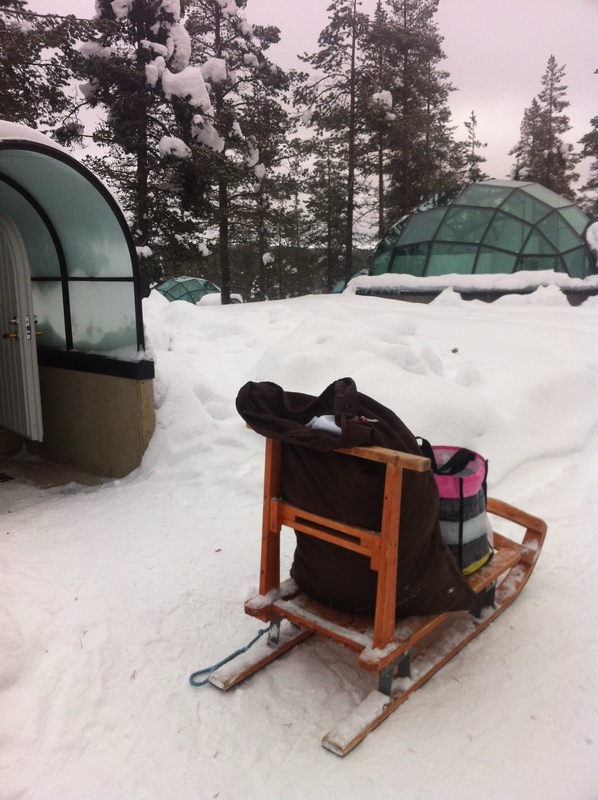 LP tip: Take a southbound bus from Ivalo. That does look amazing but oh the prices! I know! It was worth saving up for, though who knows how expensive it’ll be in a few years!